Take back your weekend, buy your next new car through Carconnect and experience their car concierge service. Ever wondered what it would be like to have a haggle and hassle free car purchasing experience where you chose a new car, paid for it, and it arrived at your door? 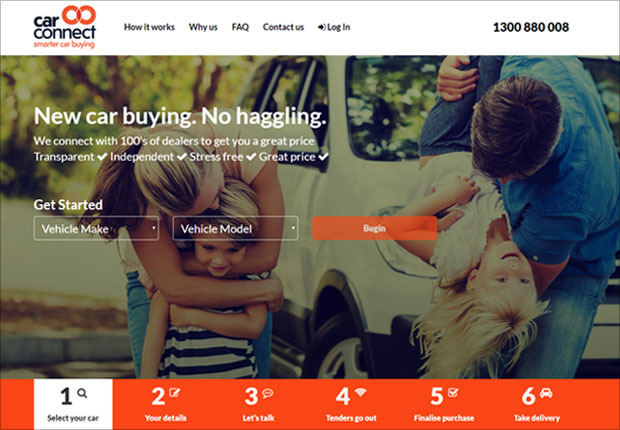 Sounds a bit too good to be true but that is precisely the kind of service that Carconnect offers car buyers throughout Australia. With the car industry so competitive these days, it’s a good idea to shop around. Some dealers may offer incentives to buy from them while others might simply sell the same car for a lower price. The problem, however, is that dealers are often reluctant to talk prices over the phone and not many people have the time nor the inclination to visit a dozen dealerships over the weekend to find the best value for money. This is where Carconnect comes in. It’s a pretty nifty service that takes your needs and wants with regards to your new car and then asks their Australia wide network of dealers to give you the best possible price the first time on a car that fits the bill. It’s like silent auction between dealerships. Sounds quite convenient, right? But that’s not even the best thing about this service. Carconnect markets itself as a concierge service, not as a car broker, and given the benefits on offer, it’s easy to see why. Have you ever bought a car and wondered if you paid more than you should have? Or are you one of the many people that don’t enjoy the haggling aspect of buying a car? Don’t feel bad because you’re not alone. Buying a car can be an intimidating experience especially for first-timers, but with a service like Carconnect, the buyer (you) has no need to discuss pricing or to even talk to the dealer at all. Carconnect handle every part of the deal, so you don’t have to. Car dealers know what kind of service Carconnect provides and therefore do their level best to offer the most competitive prices knowing that more business will come their way in the future. Weekends are for relaxation and spending time doing what you love. And for most of us that doesn’t usually involve visiting car dealerships. Best to avoid that part of the process entirely, right? Sure, you can go through a broker, but even if they tell you their fees (which many will not), there are often hidden charges that you only discover when you’ve already committed to the purchase. Carconnect offers absolute transparency every step of the way. You pay a $100 tender fee, but that is refundable against your service fee and Carconnect guarantees that the most you’ll ever pay is 1% of the price of your new car. Taking delivery of a new car is always a pleasant experience, but it’s even better when you know that you got that new car in the driveway for the best price imaginable. And not only that but you’ll even get a free set of floor mats and a complimentary tank of fuel thrown into the bargain. Trade-ins are often part and parcel of getting a new car, but Carconnect have taken a slightly different approach when dealing with your old car. They handle the trade-in as an entirely separate transaction and will find you at least three independent valuations on your old car ensuring that you will get as much as possible to put towards your new one. They’ll even pick up your old car on the day they deliver your new one. Nothing to worry about here. As partners of Carconnect, we here at Stratton Finance are only too happy to provide you with the best financing package for your new car. And like we said earlier, Carconnect takes care of everything, so you don’t even need to call us for a quote. Having two professional and completely transparent service providers working in partnership means that you, the buyer are pretty much guaranteed to save money. Carconnect finds the ideal car at the right price while Stratton sources the most attractive financing options for your new ride; that, to us, is nothing less than the perfect car-buying experience. 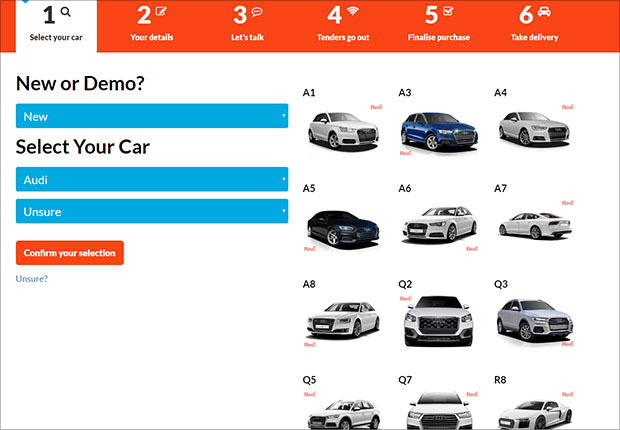 So even if you’re already a Stratton customer then we highly recommend you take a look at Carconnect when you decide to upgrade your current car. So as you can see, Carconnect is a convenient service that saves you time and money while also offering you peace of mind. And when it comes to buying a new (or used) car, you really can’t ask for more than that. For more information on this fantastic service, check out Carconnect.com.au. If you’d like to know more about how Stratton can help you finance your new car, then call 1300 (STRATTON) 787 288.